The sash is portion of the window that sits inside the frame. Tyipcally it is the portion that moves on operable windows, although sashes can also be fixed. The top & sides surrounding the window. 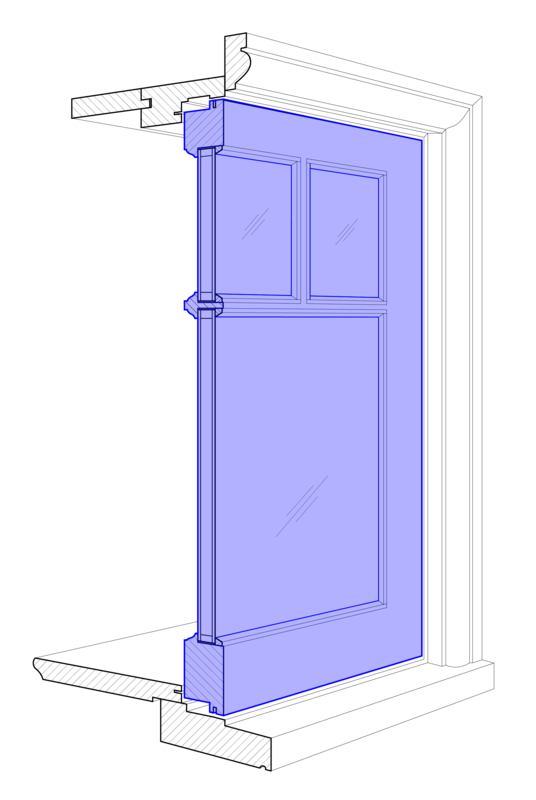 The jamb is the “frame” of the window. The base of the window. The sill is the portion that sits directly underneath the sash and extends to the exterior. 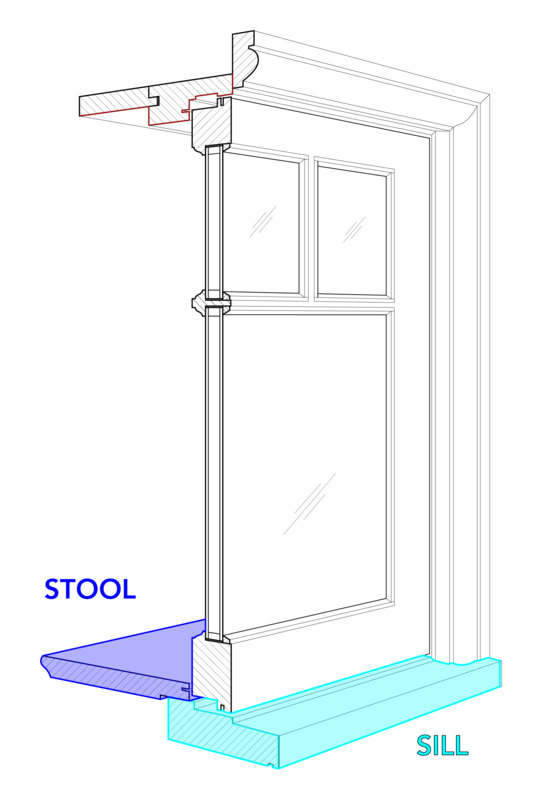 The stool (commonly also called a “sill”), if present, is the portion of the window unit base that extends inside the building. Casing is any of the trim pieces that are surrounding the jamb on the interior & exterior. The stiles & rails are the vertical and horizontal wooden portions of the sash. 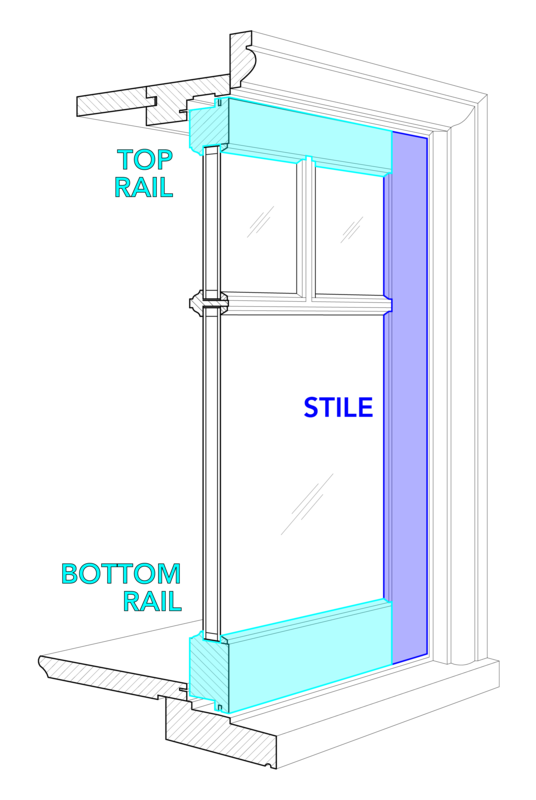 Stiles run vertically and top & bottom rails run horizontally. 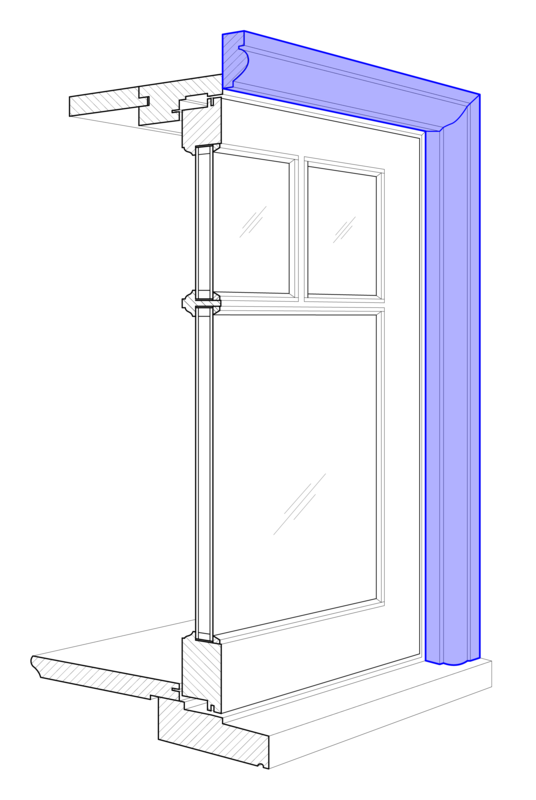 When the glass of the window is divided, the vertical sections splitting the glass are muntins. 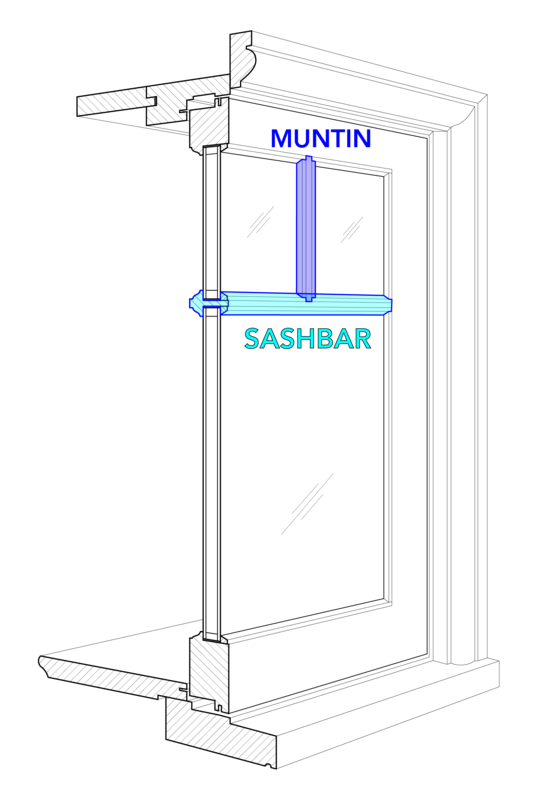 The horizontal pieces are sashbars. 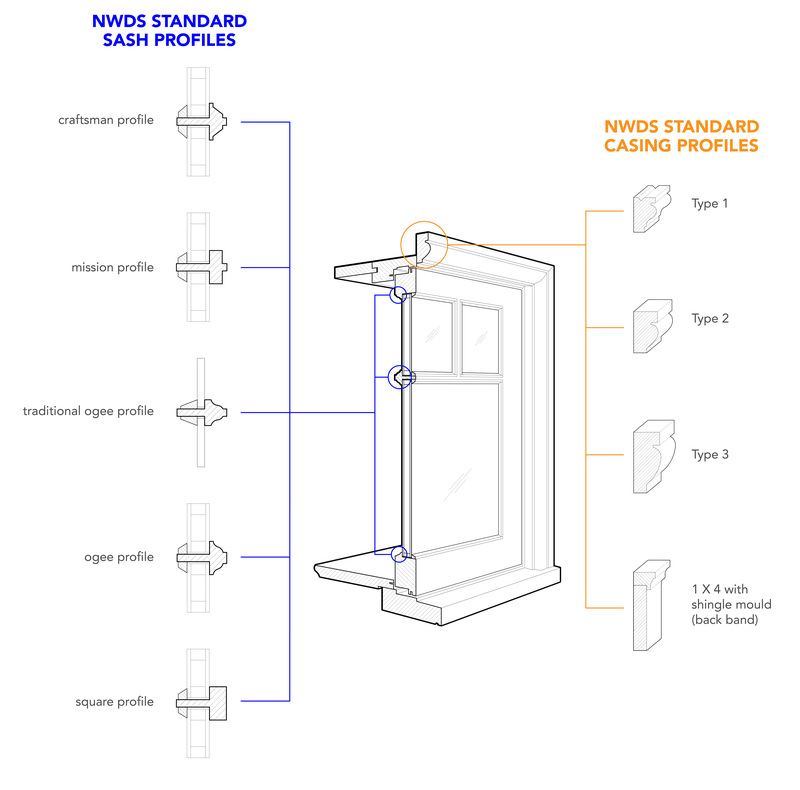 Casement windows operate via a vertical axis. They can be inswing or outswing and can be push-out or crank-out. Casements can also be fixed. Traditional double hung windows have two sash that slide up & down. If only one of the sashes slides, it is a single hung window. 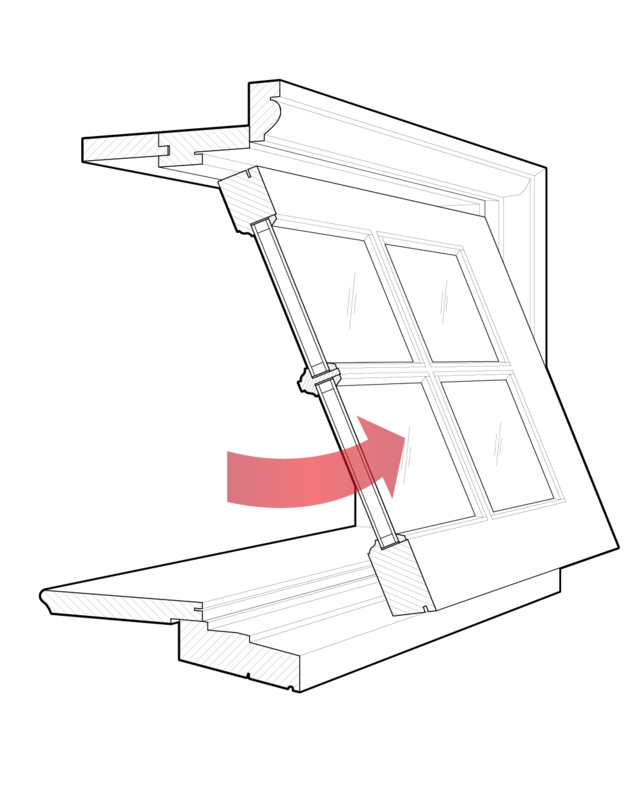 Operating via a horizontal axis at the top, awning window always swing out. 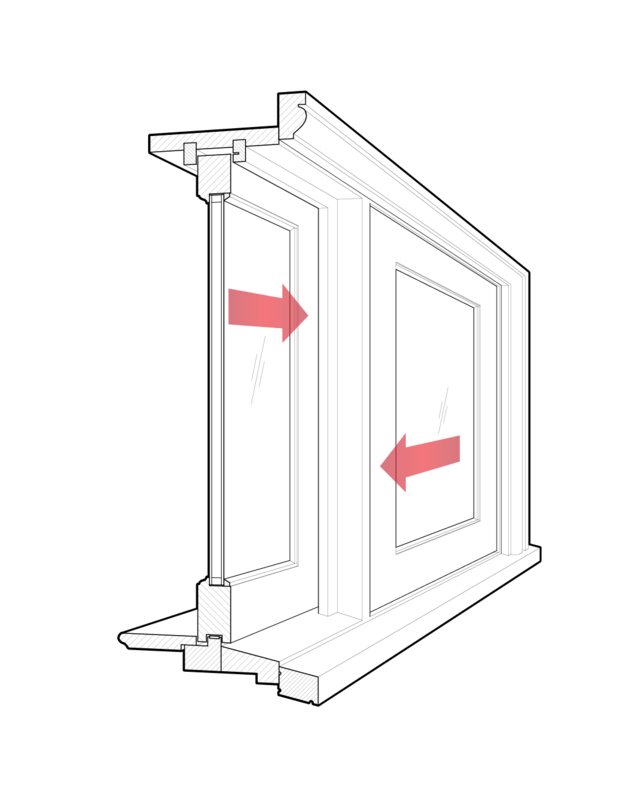 Similar to the awning window, hoppers operate via a horizontal axis. However, what distinguishes hoppers is that they are always inswing with the axis at the bottom of the sash. “Sliding sash” describes any window that slides horizontally. Transom describes any sash that is above another sash or a door. Transoms can be operable or fixed. 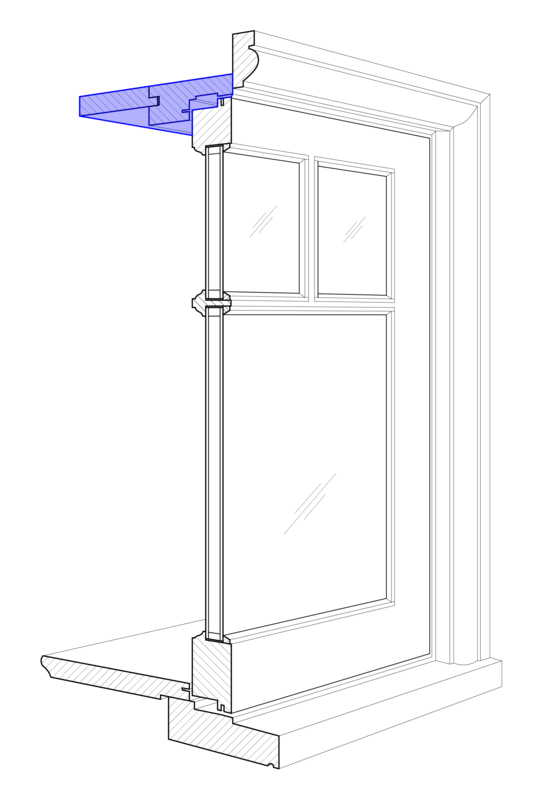 For example, a transom could be a hopper. 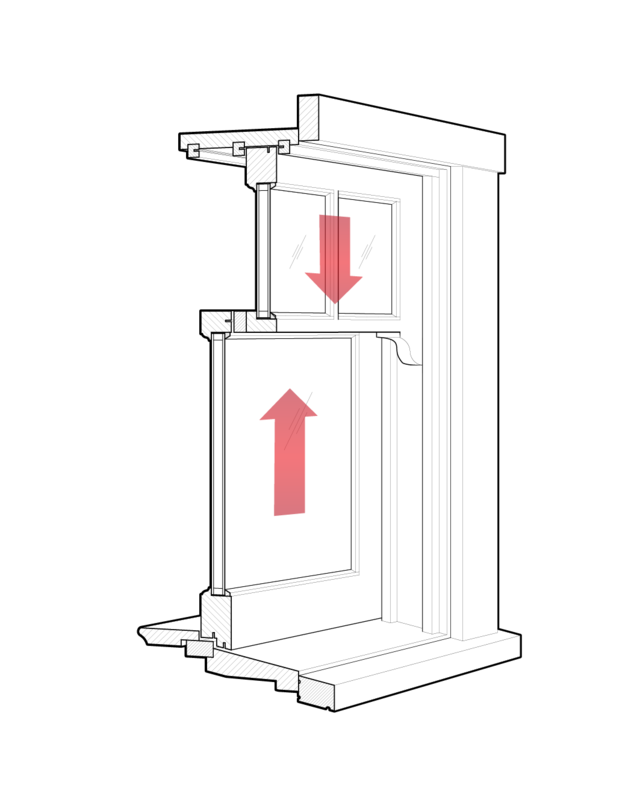 A direct set window is a window that doesn’t have a sash and is fixed. 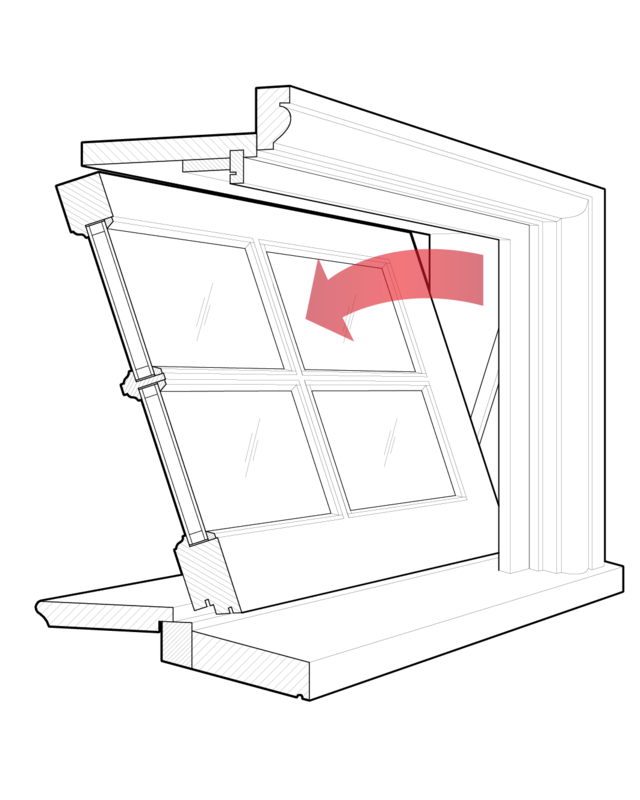 The “profile” of a window refers to the cross-sectional silhouette of different portions of the window. The sash of a window will have a certain profile facing the interior of the home. 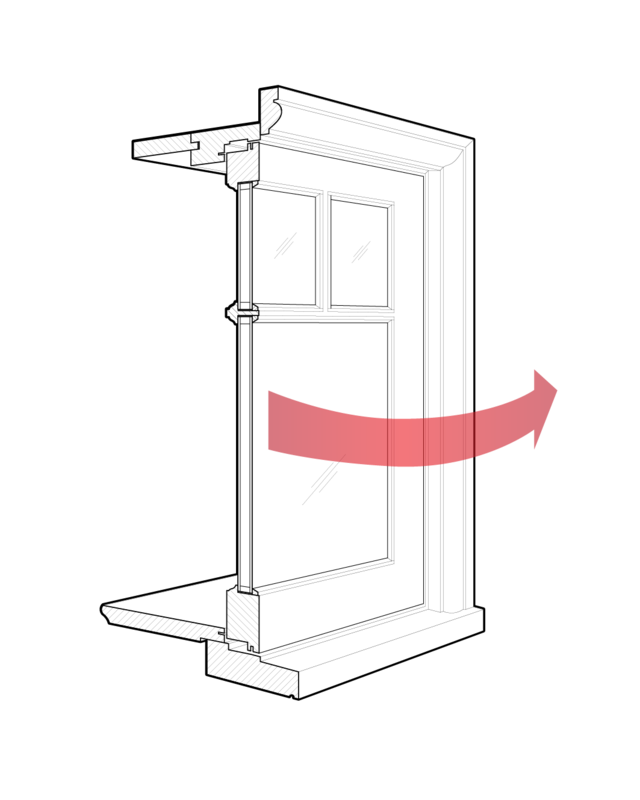 Profiles can also refer to the casing or trim around the window. Historic windows tended to have very elaborate profiles that can sometimes be hard to mimic, but NWDS has the experience and knowledge to help match profiles for any & all millwork needed.